Home / Fair Trade / My top 5 (okay, 6) brands to celebrate Fairtrade Fortnight! It’s Fairtrade Fortnight! This a great opportunity for us to understand how making more informed choices on the products we buy can have a huge impact on the lives of those less fortunate. Better prices, decent working conditions, local sustainability, and fair terms of trade for farmers and workers in the developing world. By requiring companies to pay sustainable prices, Fairtrade addresses the injustices of conventional trade, which traditionally discriminates against the poorest, weakest producers. It enables them to improve their position and have more control over their lives. Fairtrade International have developed a strict global certification process to allow consumers greater confidence when buying everyday products that come from areas in the world where working conditions, rights, and pay can be unethical. I have worked in India with Oxfam, and Vietnam with CARE Vietnam and I have seen first-hand how the cycle of poverty can grip communities when they are treated unfairly. Why should we have the benefit of paying just $10 for a piece of clothing if it means a family can’t afford to eat? That doesn’t seem very fair does it? 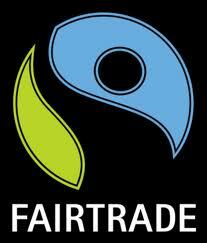 To understand more about the principle of Fairtrade, check out this previous post. For today, I’m going to share 5 super duper brands that are working hard to ensure their products are sustainable and ethical. This might mean that they are made using Fairtrade materials, made with sustainable textiles that have been sourced ethically and locally, or they have been able to go that one step further and have had the actual product produced certified under Fairtrade International if it has been made in a developing country (This will be evident by a little Fairtrade logo on the product packaging – and deserves a high 5 for sure!). Eternal Creation – certified by Fairtrade International. They have some super cute pieces for little ones! 2. Green & Blacks Chocolate – certified by Fairtrade International (and is also organic!). It’s now deliciously available pretty much everywhere – so no excuses to reach for that other nasty stuff now! 3. 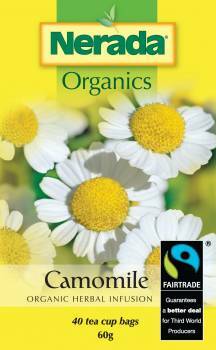 Nerada Tea Organics Range – certified by Fairtrade International. My 2 favourites are the Green and Chamomile. You can find this brand in most major and some independent supermarkets. 4. Pure Pod – Made in Australia using sustainable materials. Considered a pioneer in ethical fashion in Australia. 5. 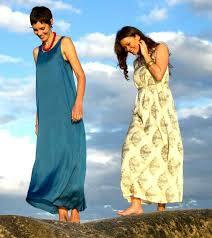 Sinerji – a sustainable & ethical collection using natural dyes and organic cotton. And I had better sneak one more in – we can’t forget the love of my life, sorella & me. Our collection is made using certified Fairtrade cotton (and is also certified organic). We use an Australian sewer but have been providing skills transfer and capacity building to a small family-run Fiji manufacturer for the past 18 months. We are so excited they are now ready to join the sorella & me team! By providing them an ongoing opportunity for work will ensure sustainable income and at the same time improve skills and employability – both of which are major concerns for most Fijians with its current poor economic conditions and regular natural disasters that destroy many businesses. Do you have a favourite ethical label? Please share it with the sorella-hood below!